Coal Mining Conveyor systems for open pit mines are available in stationary, shiftable and relocatable designs, provide the most effective way of transporting bulk materials over long distances. Conveyor pulleys are the main components providing the transmission of torque from the drive and ensuring that belts remain taught. As per international standard design and manufacturing technology, there are head Pulley(drive pulley), tail pulley, snub pulley, take up pulley and bend pulley etc. Pulleys are made up of several spare parts including the shell, end disk, Lagging, hub, shaft, locking elements and spherical roller bearings or self-alignning ball bearings. The drum is the portion of the pulley in direct contact with the belt. The shell is fabricated from either a rolled sheet of steel or from hollow steel tubing. 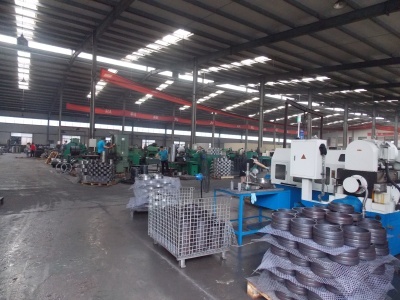 Diaphragm Plates: The diaphragm or end plates of a pulley are circular discs which are fabricated from thick steel plate and which are welded into the shell at each end, to strengthen the drum. 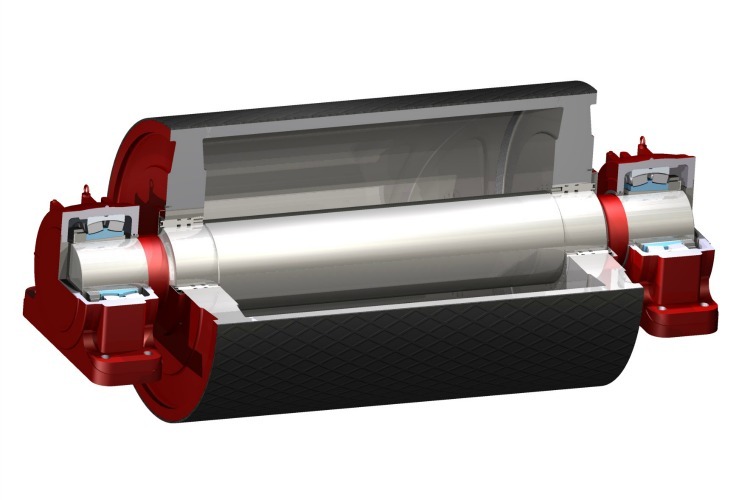 Shaft:The shaft is designed to accommodate all the applied forces from the belt and / or the drive unit, with minimum deflection. 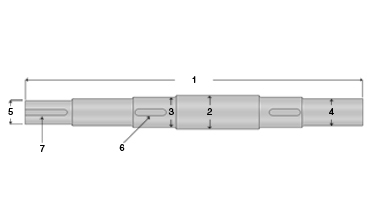 The shaft is located and locked to the hubs of the end discs by means of a locking elements. The shaft and hence pulley shafts are often stepped. Locking Elements:These are high-precision manufactured items which are fitted over the shaft and into the pulley hubs. The locking elements attach the pulley firmly to the shaft via the end plates. Hubs:The hubs are fabricated and machined housings which are welded into the end plates. 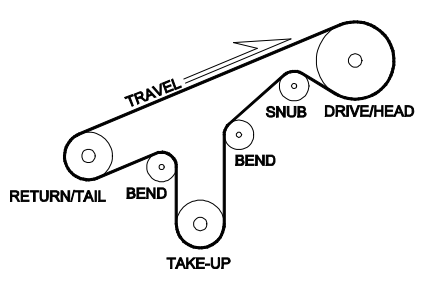 Lagging: It is sometimes necessary or desirable to improve the friction between the conveyor belt and the pulley in order to improve the torque that can be transmitted through a drive pulley. Improved traction over a pulley also assists with the training of the belt. In such cases pulley drum surfaces are `lagged` or covered in a rubberized material. 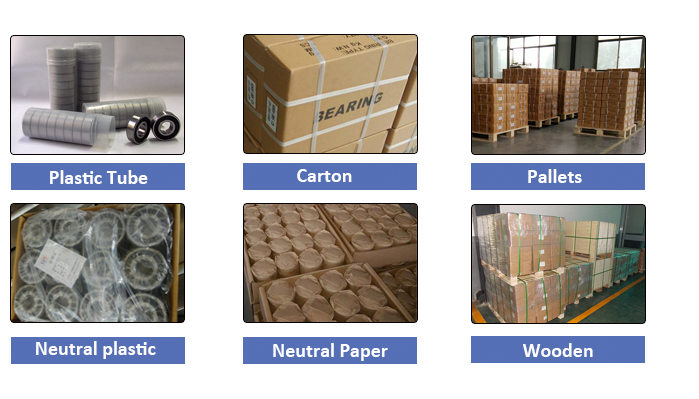 Bearing: Bearings used for conveyor pulleys are generally spherical roller bearings, chosen for their radial and axial load supporting characteristics. The bearings are self-aligning relative to their raceways, which means that the bearings can be 'misaligned' relative to the shaft and plummer blocks, to a certain degree. In practical terms this implies that the bending of the shaft under loaded conditions as well as minor misalignment of the pulley support structure, can be accommodated by the bearing. 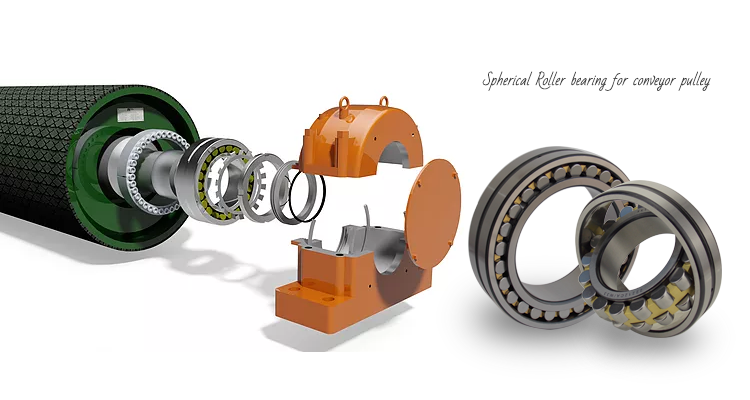 Spherical roller bearings and self-aligning ball bearings are available with heavy duty rollers and cages that are suitable for extreme demand harsh applications such as vibratory screens. Mining Conveyor Machine, and mining bulk conveyor pulley. 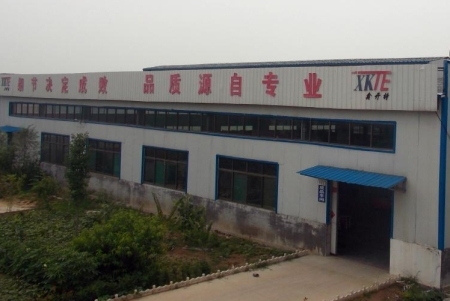 Bend Pulley,Driving Pulley, Head Pulley, Snub Pulley, Tail Pulley, Take Up Pulley etc. 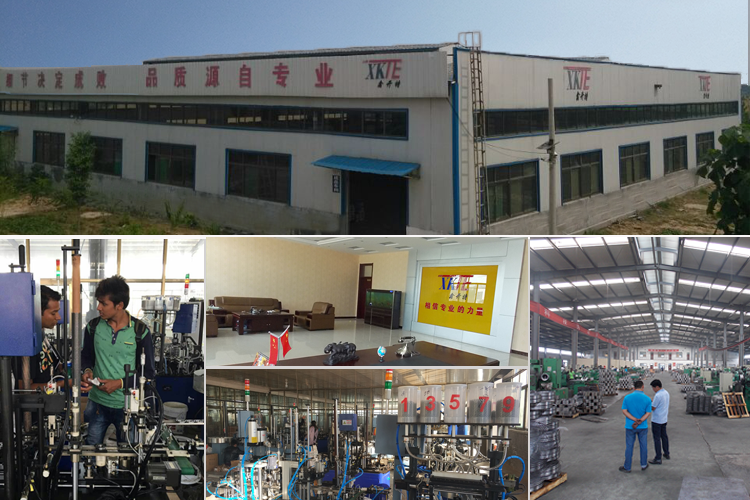 In this sort of aggressive operational environment, the spherical roller bearing is the only type that delivers acceptable service life. generally have a longer life span than other bearing types.